Dit ruige gebied behoort tot de natste en winderigste van Groot-Brittannië. .. oftewel 'bogs' (hier doorheen soppen heet 'bog-trotting' ). 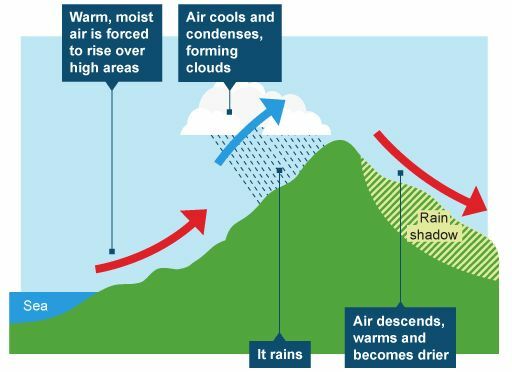 • Klimaat: relatief veel dagen met bewolking (mist) en stuwingsregen. .. maar biedt zo nu en dan ook "spectacular scenery". The Pennines form the high spine of northern England. ‘edges’ extend from Edale to just short of the Scottish border. and the hills around Upper Teesdale. pretty Peak District village of Edale to Kirk Yetholm in the Scottish Lowlands. a willingness to endure some of the country’s wettest weather ! ! ! led to the opening up of Britain’s countryside to ramblers. Hadrian’s Wall before the long slog over the isolated, ethereal Cheviot Hills. wildest is worth the sore feet. Veel zware wandeldagen met veel ups and downs en dikwijls slecht weer. wil maken, kiest liever een ander langeafstandspad. .. for longer than any of the other routes. .. exciting and rewarding as well. • The challenge is, essentially, a mental and a logistical one. .. awesome. sense. of loneliness. Dat zijn de blauwe lijntjes in bovenstaande kaart. 1. 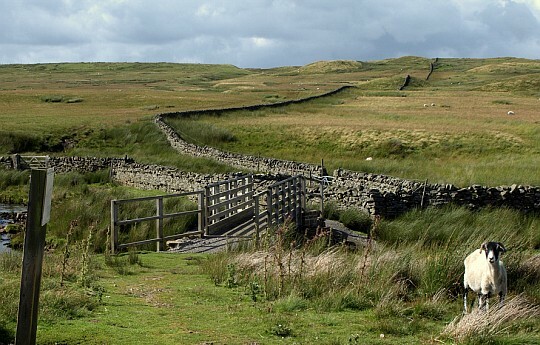 Loop eerst de Coast to Coast Walk en de Dales Way. ... delen of dit langeafstandspad wel geschikt voor je is. ...een. andere. keer terug om de draad weer op. te pakken. 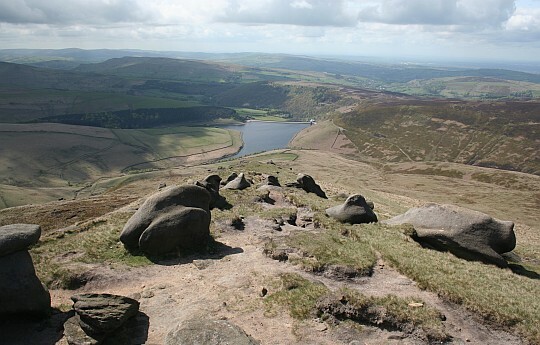 • Kinder Reservoir seen from the Pennine Way. • Je vindt op het internet van de Pennine Way weinig foto's met blauwe lucht. ... ( bijvoorbeeld West Highland Way ! ). continentaal Europa en die van Groot-Brittannië (en Ierland). In het continent zijn ze bebost (bijvoorbeeld de Ardennen). In Groot-Brittannië zijn ze echter kaal ( bijvoorbeeld de Pennines). • Hier zie je upland acid grassland. 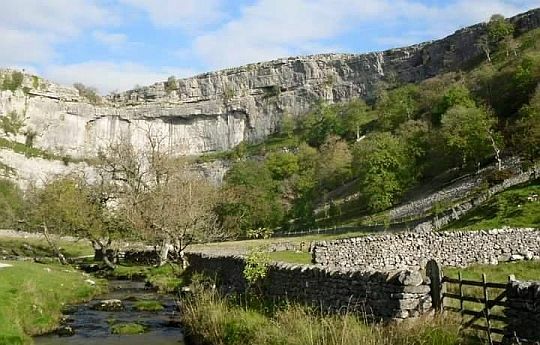 • Malham Cove is een 80 m hoge, gebogen klif. • It was created at the end of the last Ice Age by meltwater. .. retreating glacier, a strangely. regular feature that resembles rough paving slabs. ways similar to those of the northern Pennines. windswept moorland between them appears almost featureless. isolated peaks (monadnocks) rising up above it. 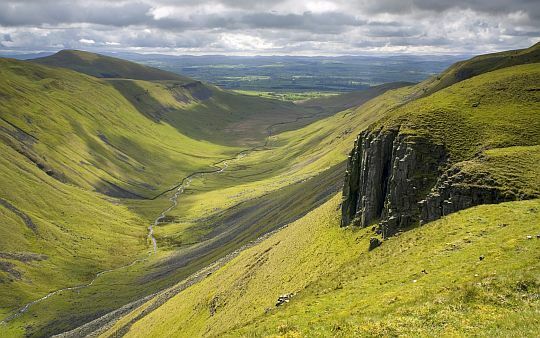 Farther south, deep and scenic dales (valleys) dissect the Pennine plateau. flow streams stepped by waterfalls. The most southerly part of the Pennines is a upland acid grassland. rather than the bleak moorland that might be expected at this elevation. stand out against a background of rugged cliffs of white-gray rocks. and the uplands merge into flanking coastal lowlands. 3. 100% wandelen vanuit Malhamdale. 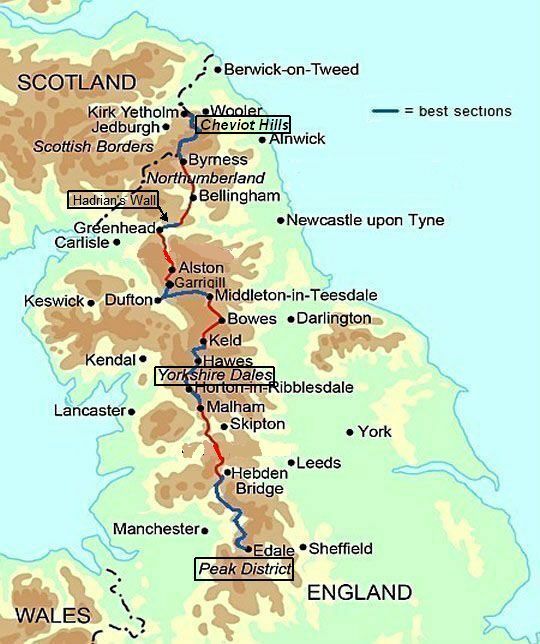 ... - P. W. North : Greenhead to Kirk Yeth. .. land,. waar geen stapelmuurtjes, heggen of rasters meer zijn.